Repack request is one of the most useful services. The main reason why is because you can save a lot of money on shipping. 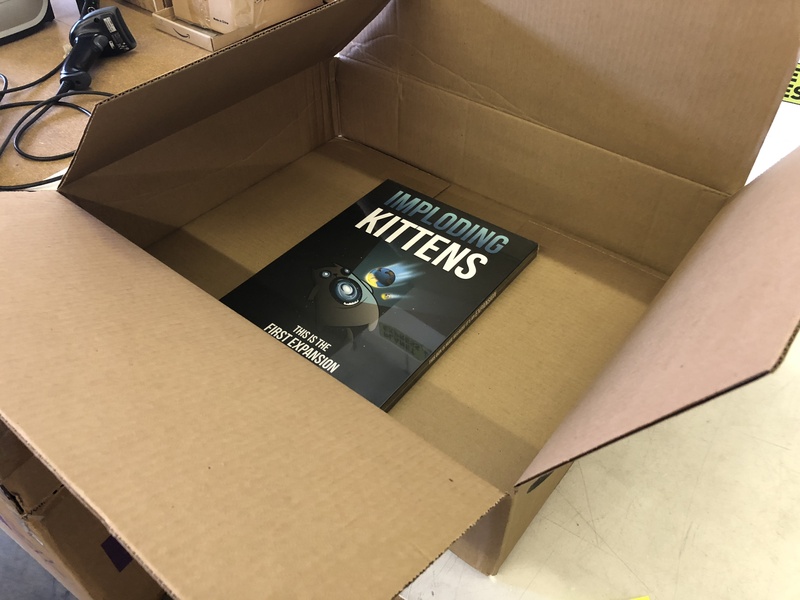 Instead of sending one big box with a lot of empty space we can repack the package into the smallest box possible. Usually packages are much bigger then the product itself. Imagine that you order small board game which is delivered in a huge box, just like on the photo below. If you ship the package via Fedex or DHL, they calculate shipping price based on dimensional weight which means smaller package = cheaper postage. In this case, total saving on shipping is more than 50 % which is almost $25. The final price for repack request is only $5 so thanks to repack, customer saved $20. How To Place Repack Request? We usually process the request at the same business day. In case that there is no space to make the package smaller we will not charge you the fee.